Helping young kids stay reverent during church is challenging. Believe me. I have been through many sacrament meetings where I end up with kids climbing all over me, cheesy cracker crumbs on my skirt, and fruit snacks stuck in my hair. Ewww. Today I want to share some tips I have learned over the years to help sacrament meeting go a little smoother. I have a 9, 5, and 2 year old so we have been at this for a while! *Some of these links are affiliate links. That means by purchasing through these links you help support my business at no extra cost to you. Thank you! 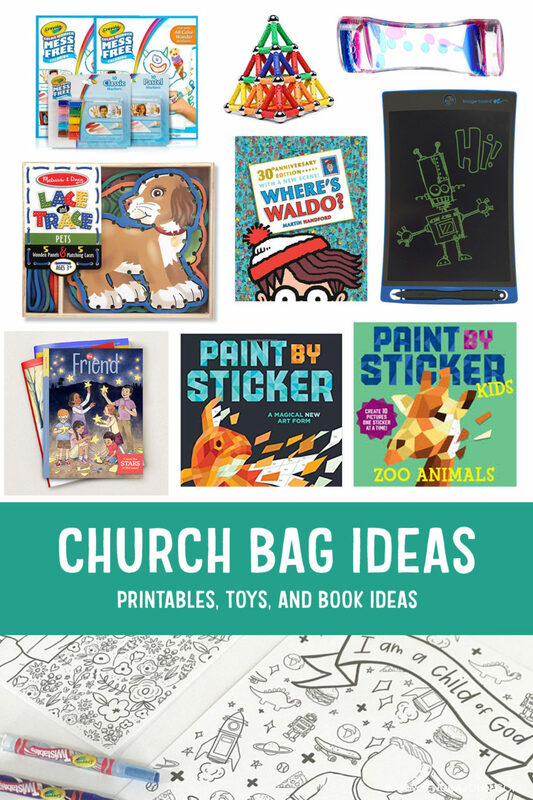 Create a church bag with items you think will entertain your kids. You know your kids best. ONLY use this bag on Sunday. Keep it out of sight for the rest of the week. Only bring a few items in the bag each Sunday. A good rule to follow is the number of kids you have plus 1 item. Each Sunday rotate the items you bring. Keep all the “church items” in a bin where kids can’t reach them. This makes it convient to grab a few items on Sunday morning. I try not to let my kids get anything out of the bag until after the sacrament (bread and water) is over. The longer they can go without digging into the bag the better. I have purchased a few different magnet sets over this last year and this one is our favorite! 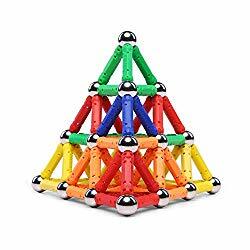 They are high-quality magnets and it comes 100 pieces so more than one child can play with them at once. 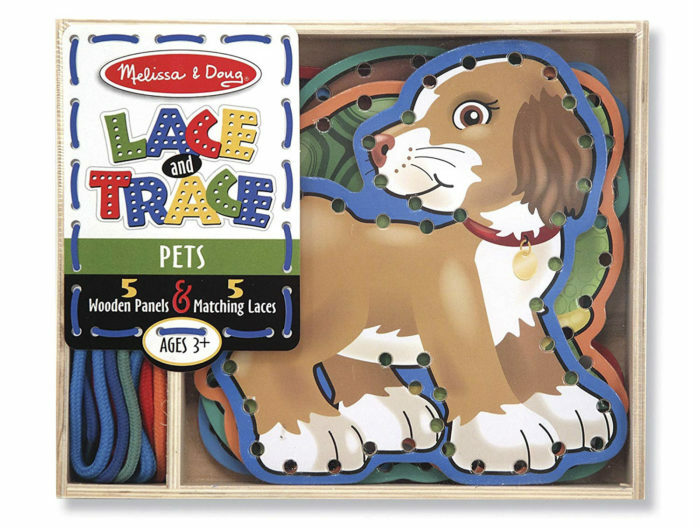 These are fun to keep little fingers busy! My younger kids use the string to lace around the animals. They also lace multiple animals together or tie the string in a billion knots. My 9 year old likes to use the string alone to play cats cradle. 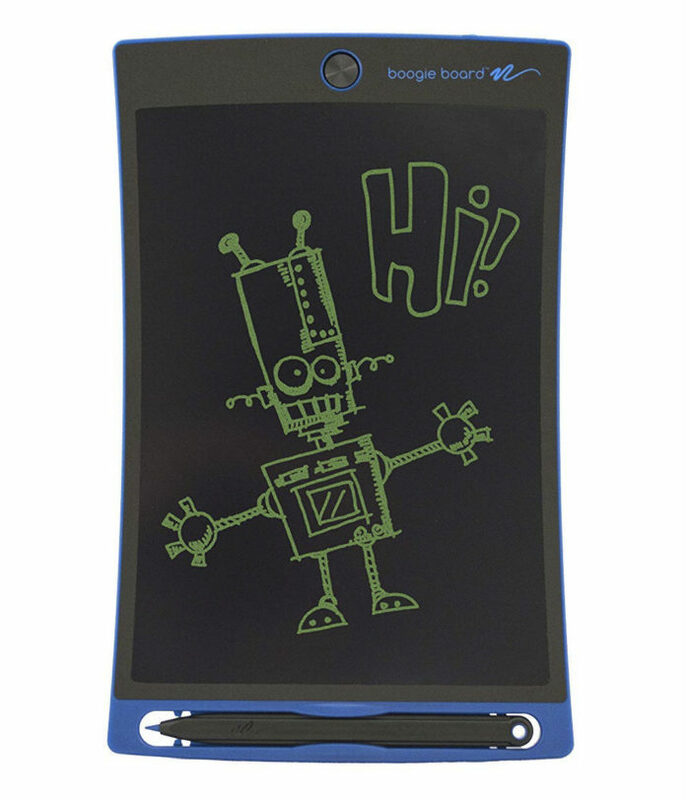 A Boogie Board is like an updated Magna Doodle. (Remember those!?) You can draw on it with your finger or the pen. When you are done drawing you click the button to erase the screen. It runs on a small battery. After 1+ year of owning this, we haven’t had to change the battery. My younger kids scribble and draw on our Boogie Board. This is just a fun little gadget to play with and hold. It’s mezmorizing to just watch the bubbles float around. Age: You NEED to be able to read and match numbers. My 5-year-old does fine with the “Kids” versions. There are also harder adult versions. Pay attention to the title of the book. These books are SO fun! My kids love them! Similar to “paint by numbers” but you use stickers. Age: All but particularly for littles age 1-4. These coloring books are genius! The markers can’t color on anything but the special paper in the coloring book. So you don’t have to worry about kids drawing places they shouldn’t be! Halleluja! 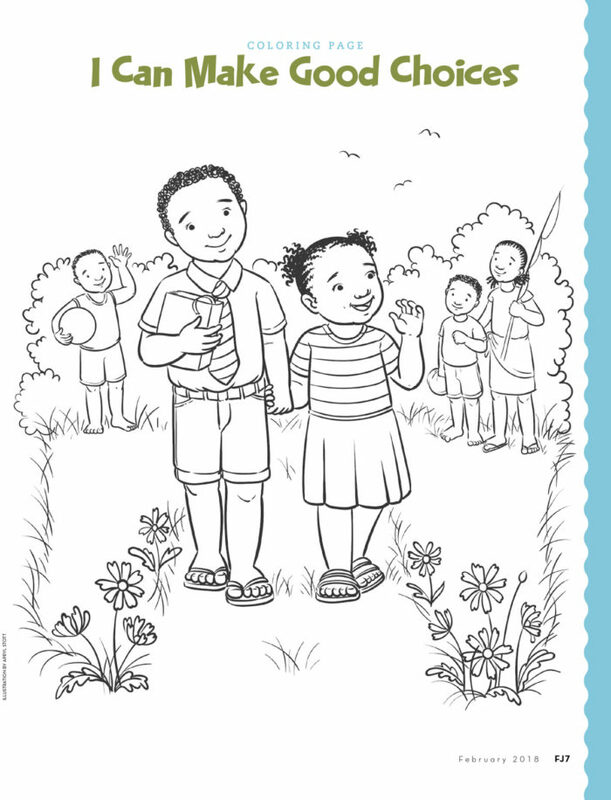 On the Church website, you can download a TON of free coloring pages. They are categorized by topic. There is probably 100+ choices! Don’t forget the crayons or pencils in your bag! 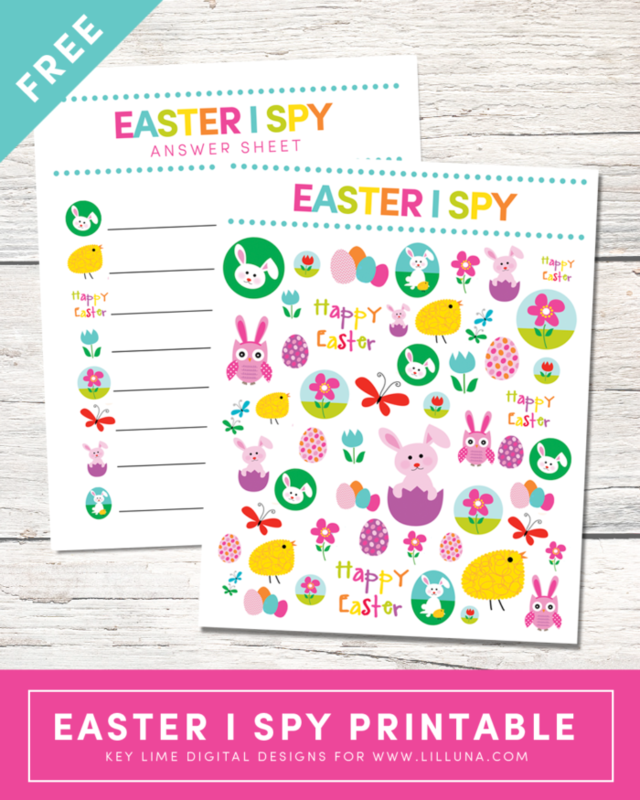 I designed these I Spy Printables for Lil Luna and there is one for each holiday! 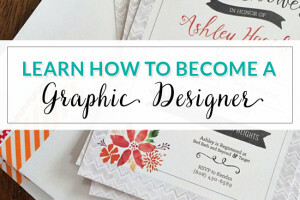 I like to print them off and slide them into a plastic sheet protector. Then I let my kids “spy” them using a dry erase marker! Who remembers “Where’s Waldo?” from when they were a kid? 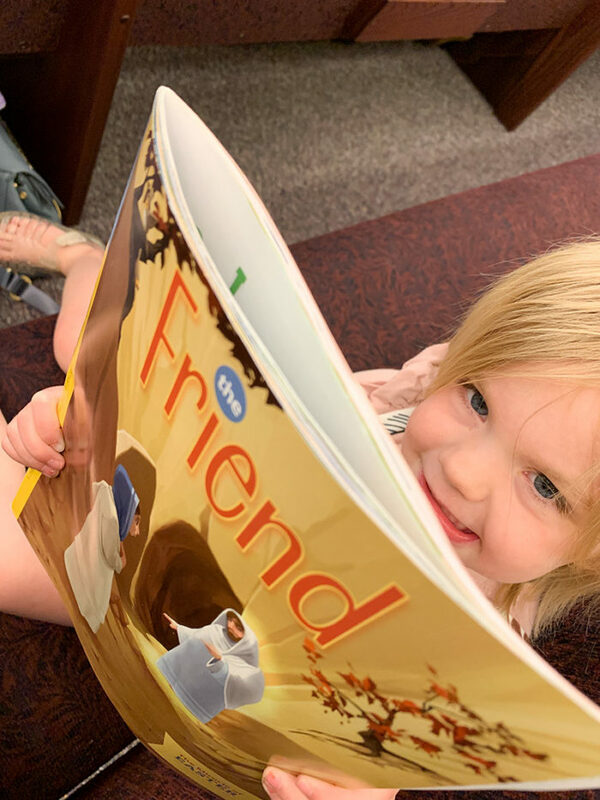 These are super fun books for kids! And with a ton of different character variations, I’m confident you’ll be able to find one the will keep your kids quiet! Age: All 3 of my kids (9, 5, and 3) love this! Colorly Love is a digital subscription. 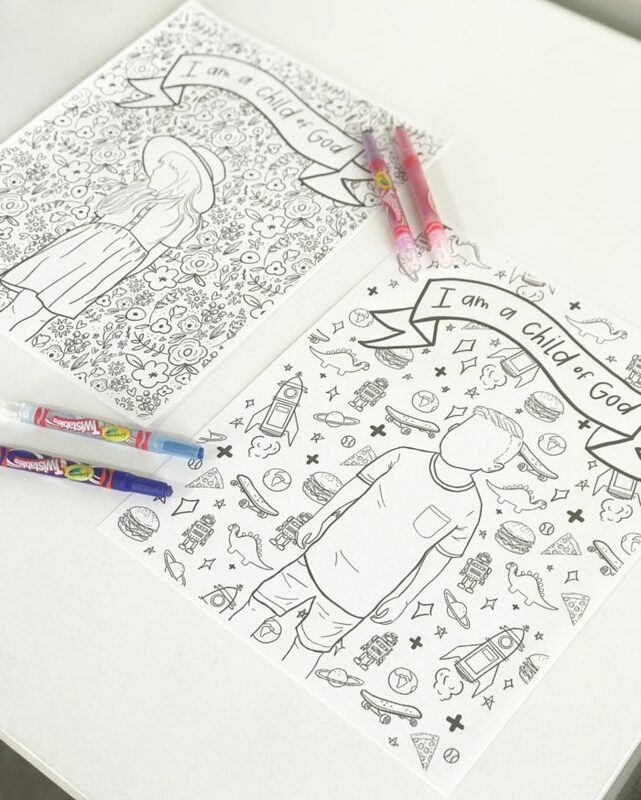 Each month you get a bunch of cute coloring and activity pages. 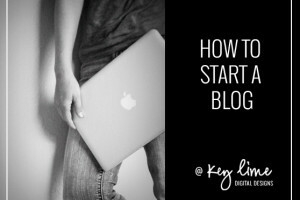 They seems to always been corrilated to the months Come Follow Me lessons which is awesome! Well, there you have it. Our tried and true list of church activities. 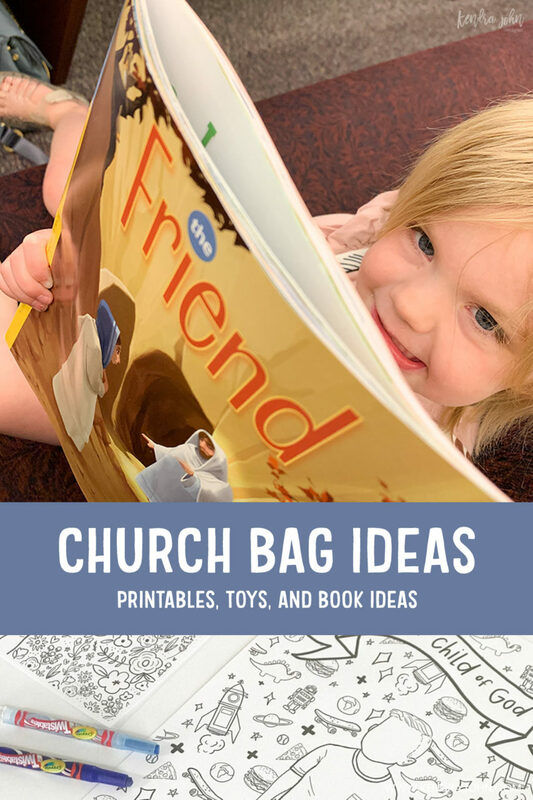 Bottom Line: A few minutes of planning and rotating church bag items can get you little more reverence during sacrament meeting.